THE Christopher Lao incident is among the stuff we want to forgive and never forget. “Forgive”, because Lao was not in the best disposition to be interviewed by media at that time. And his apparently choleric temperament was definitely no help. Reason could have impelled him to refuse being interviewed, but emotions seized him. “Forgive”, because GMA News reporter Jun Veneracion and his colleagues possibly had a good laugh themselves, contemplating Mr. Lao’s fateful outburst. For a report that “sought to highlight the hazards of traveling through a flooded metropolis,” the extended airing of Lao’s garbled answers to Veneracion seemed uncalled for and vaguely hinted some malice. 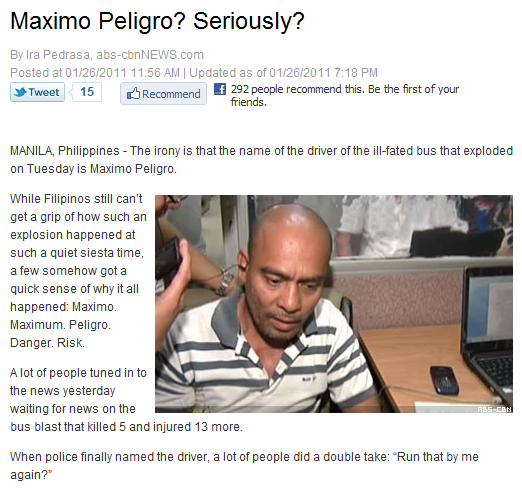 “Forgive”, because GMA News is doing something to clean up the mess made out of its own report. “Forgive”, because “Think Before You Click” proposes a big and noble dream, which individuals and groups (especially media networks) simply must struggle to actualize. Sensationalism and pride are our fierce enemies here. “Forgive”, because Lao already issued an apology and he deserves the privacy and time to heal the wounds the entire controversy caused him. And “never forget”, because the incident is inundated with lessons.